This is a blog about my light pollution initiative within the STARS4ALL project. Light pollution is the inappropriate or excessive use of artificial light (at night). Within the light pollution initiative termed "Nocturnal darkness in Europe" we will search for dark places in Europe, of which only few exists according to satellite measurements and skyglow models. The plan is to identify these dark sites, perform measurements and to help to protect these last islands of darkness. The first trip will be in January 2018 where we will go to Kilpisjärvi in Finland to study polar nights. See more info here. Main objectives: Identify the darkest regions in Europe and measure the night sky brightness at these places to answer: How dark is a natural clear and overcast night and how can we preserve it? Motivation: One of the urging questions for light pollution researchers still is: “How dark is a natural night?” According to the “New World Atlas of Artificial Night Sky Brightness”  (world map here) there are only very few real “pristine skies” in Europe. That means places that are so far away from cities, towns, or any other significant artificial lightsources, that the background night sky brightness is natural, also at the horizon. According to Falchi et al. , the red circle in the figure to the left encircles Neuchatel in Switzerland as the place on Earth (not just Europe!) that is furthest away from a pristine sky (black areas in figure). This is a shocking indication that the high density of settlements has wiped out most of the natural landscapes. It also urges for the preservation of any of the few remaining sites within our continent. 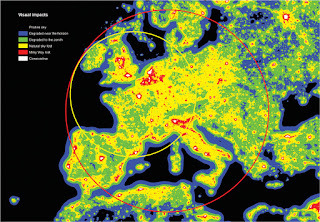 Despite the growing threat of light pollution with a recently determined growth rate of 2.2% per year (see Kyba et al. ), there are still several places in Europe that have a near natural sky around zenith (blue regions in figure), at least for clear sky conditions. There, stargazing is possible e.g. at the several dark sky parks within the red circle. 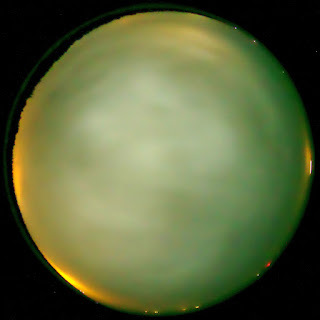 However, things can change dramatically for different weather conditions: in pristine areas without artificial light, clouds should darken the sky  but close to urban areas, clouds brighten the night sky . See press releases of studies near Berlin, Germany here and near Montsec Astronomical Park in Catalonia, Spain here. This reversal of natural conditions possibly has an ecological impact ultimately even affecting biodiversity . Many animals orientate by polarization patterns of the natural sky  and dung beetles even use the Milky Way for navigation . Therefore, even low level of skyglow are suspected to influence ecosystems also far away from cities. A recent study showed that critical ecosystem services like pollination are threatened by light pollution [8. I am a physicist with a background in optics and photonics now working in environmental sciences at the IGB in Berlin and at the GFZ in Potsdam, Germany. During my career I worked in laser physics, quantum optics and atomic physics before moving to light pollution and remote sensing. You can check my (slightly outdated) website or my publications here. 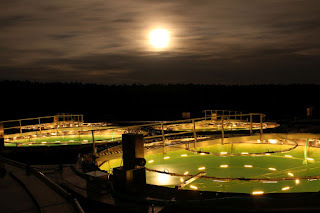 Right now I am part of a team that studies the effects of artificial light at night on lake ecosystems at LakeLab in Lake Stechlin within the ILES project. 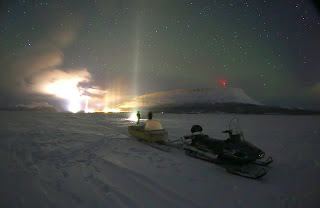 Whithin the project, I designed the light source (picture) and worked on night sky brightess measurements. Falchi, Fabio, Pierantonio Cinzano, Dan Duriscoe, Christopher CM Kyba, Christopher D. Elvidge, Kimberly Baugh, Boris A. Portnov, Nataliya A. Rybnikova, and Riccardo Furgoni. "The new world atlas of artificial night sky brightness." Science advances 2, no. 6 (2016): e1600377. Kyba, Christopher CM, Theres Kuester, Alejandro Sánchez de Miguel, Kimberly Baugh, Andreas Jechow, Franz Hölker, Jonathan Bennie, Christopher D. Elvidge, Kevin J. Gaston, and Luis Guanter. "Artificially lit surface of Earth at night increasing in radiance and extent." Science advances 3, no. 11 (2017): e1701528. Jechow, Andreas, Franz Hölker, Zoltán Kolláth, Mark O. Gessner, and Christopher CM Kyba. "Evaluating the summer night sky brightness at a research field site on Lake Stechlin in northeastern Germany." Journal of Quantitative Spectroscopy and Radiative Transfer 181 (2016): 24-32. Jechow, Andreas, Zoltán Kolláth, Salvador J. Ribas, Henk Spoelstra, Franz Hölker, and Christopher Kyba. 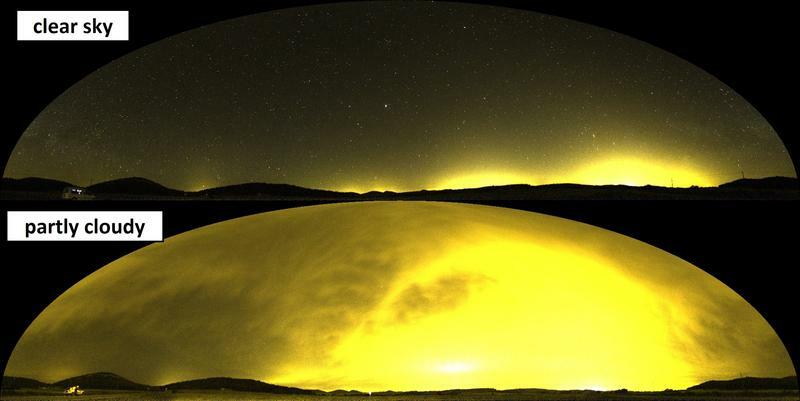 "Imaging and mapping the impact of clouds on skyglow with all-sky photometry." Scientific Reports 7 (2017): 6741. Hölker, Franz, Christian Wolter, Elizabeth K. Perkin, and Klement Tockner. "Light pollution as a biodiversity threat." Trends in ecology & evolution 25, no. 12 (2010): 681-682. Dacke, Marie, Dan-Eric Nilsson, Clarke H. Scholtz, Marcus Byrne, and Eric J. Warrant. "Animal behaviour: insect orientation to polarized moonlight." Nature 424, no. 6944 (2003): 33-33. Dacke, Marie, Emily Baird, Marcus Byrne, Clarke H. Scholtz, and Eric J. Warrant. "Dung beetles use the Milky Way for orientation." Current Biology 23, no. 4 (2013): 298-300. Knop, Eva, Leana Zoller, Remo Ryser, Christopher Gerpe, Maurin Hörler, and Colin Fontaine. "Artificial light at night as a new threat to pollination." Nature 548, no. 7666 (2017): 206.